Most new or recent moms probably feel like a pack horse when they leave the house. Diapers, wipes, change of clothes, toys – it feels like there is always one more item to stuff in the diaper bag and carting it around is enough to cause frequent visits to the massage therapist or chiropractor. One item that I didn’t even realize I needed until recently was a blanket. When I started my first mommy class with baby E recently I saw each mom place a blanket on the floor for their little one to lie down on while the mommies did their thing. Of course. A blanket. Why didn’t I think of that? Alas, I was one of the few moms that was walking to the program with little E in the baby carrier and a stylish but functional backpack strapped to me. I wasn’t sure there would be much room for a blanket in my already full to the brim backpack, but I also didn’t want to have to hold E for the 1.5 hour program either. Then I received a Poncho Baby Organic Roly Blanket and my problem was solved. This thin rollable blanket was just the ticket. 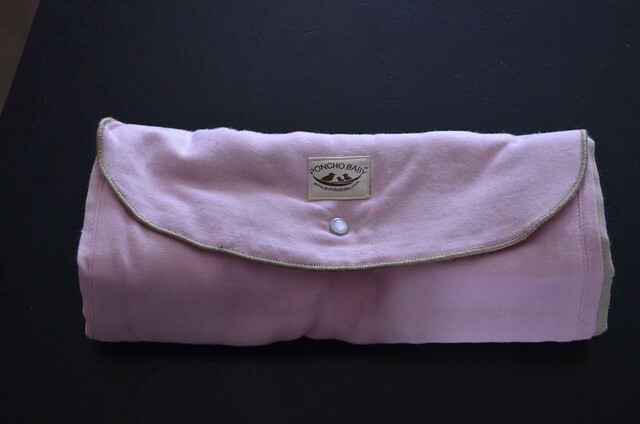 The blanket is made in the USA out of 100% organic cotton muslin and is incredibly soft and compact when rolled. It is machine washable, which is key since I have it lying on the floor each week and also doubles as an enormous change pad and that can get messy pretty quickly if there is a code red diaper situation. The Roly Blanket is available in six different colours and was a Green Scene Mom award winner in 2014. The MSRP is $48.00 USD and can be found at retailers across the United States and was recently introduced in Canada. All the Poncho Baby products, including nursing covers, bibs and blankets can be purchased at www.ponchobaby.com. I really like this product and it may become my go-to shower gift since I am probably not the only one who loves reducing the bulk of my diaper bag. 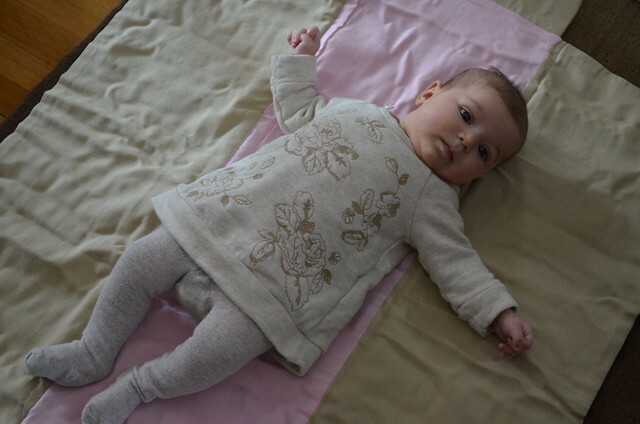 That looks like a pretty cool blanket, great review and she is adorable! It looks like a great blanket. I love that it is 100% organic! I really like this. How darling! That blanket looks so soft! I want to grab one for my sister. 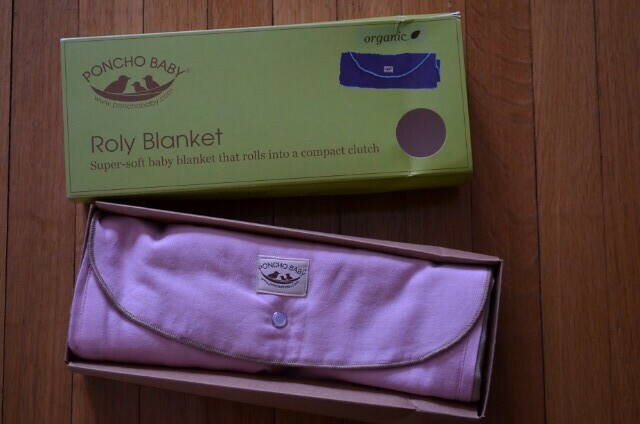 A great idea the Poncho Baby Organic Roly Blanket, love that it can be rolled up and that it’s organic and soft too.